How do we forecast SROI? What does SROI mean in child welfare and foster care? We have a lot of great ideas. But, how do we prioritize them? How do we identify the ideas that will make a significant impact on Upbring’s mission? What’s more, how do we measure the extent of that impact? Don’t worry, it’s not rocket science! To assess each idea, Upbring Innovation Labs’ Evaluation Methodology considers a host of metrics across a handful of categories, including scalability, time to market, mission and strategy alignment, and risk. Social Return on Investment, or SROI, is foundational to our methodology. SROI helps us simultaneously place an idea in the context of both our mission fulfillment and financial position. SROI is more than a metric. BetterEvaluation, an international evaluation collaborative, describes SROI as a “systematic way of incorporating social, environmental, economic and other values into decision-making processes.” SROI places a monetary value on the social and/or environmental outcomes of an intervention or change (inputs)—how awesome is that? More technically, SROI can be presented in the form of a ratio (e.g. 4 : 1), percentage (%), or Net Present Value (NPV). Because we are typically on the forefront of projects or developing new business plans, Upbring Innovation Labs primarily uses forecast SROI. Alternatively, when we aim to understand the impact of an active program or at the conclusion of a project, we use evaluative SROI; that is, the impact that can already be observed and quantified. The SROI formula is straightforward; the components are a little more complex. Remember, SROI is “systematic” approach to evaluation. As we envision a project, program or business idea forming, we must first identify our stakeholders. Who are the key beneficiaries of the “change” or intended impact? Then, depending on our Theory of Change or Business Plan, we map our inputs, outputs, and outcomes to the intended impact to be realized by our stakeholders. Finally, we are ready to monetize our numerator (value of the impact) and denominator (inputs). Financial expenditures and staff time often make up the bulk of our inputs and thus, remain relatively easy to monetize. On the other hand, the “impact” we aim to see in child welfare can be more difficult to monetize. It requires “benchmarking” the impact to known market prices or economic values. For example, let’s take a look at a fictitious public health organization that implements a community shoelace-tying initiative. The organization might consider the reduction in emergency room (ER) visits for nasty trips and falls as a measurement of their impact. Then, they could monetize the impact by determining the cost per ER visit. Certainly, SROI requires some creativity and thoughtfulness. Given the breadth of Upbring’s programs, our key stakeholders can be young children to teenagers to foster care parents to entire families. As such, creativity coupled with specificity is critical to forecasting SROI as accurately as possible. We cannot emphasize it enough: the stakeholders are key. We believe this is especially true for those organizations who share our purpose of advancing children’s needs. Are you interested in sharing your creative, Industry-changing idea with Upbring? Email Upbring Innovation Labs, Today! 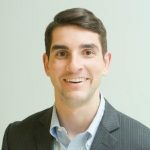 Kyle Kerrigan serves as Senior Business Analyst at Upbring Innovation Labs. He gathers and analyzes data to aid in decision making, predict future outcomes, and solve complex problems. To break the cycle of child abuse by identifying, creating, and investing in breakthrough innovations. How can data & innovative technologies transform foster care? What programs can be created or improved to better serve families and children? Which startups, corporations, or changemakers can help shape innovation that elevates the future of our children? Answers or Questions? Let’s Talk!